This collection of recipes from the first year of Bake from Scratch magazine (2015-2016) features endless inspiration for home bakers. From the essential brioche and rye bread to a classic 1-2-3-4 cake with seasonal flavor variations and easy French gâteaux, this hard-cover, high-quality cookbook will be the go-to resource for those looking ato bake artisan goods at home. Brian Hart Hoffman, president and chief creative officer of Hoffman Media, oversees the editorial planning and brand direction for all publications and books. Since joining Hoffman Media, Brian has been the driving force behind the launch of The Cottage Journal, Bake from Scratch, Southern Cast Iron, and Southern Home. 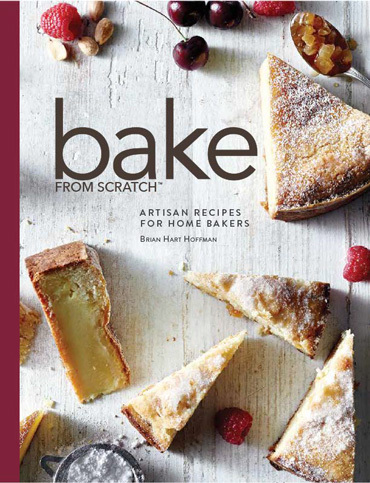 His second book, Bake from Scratch, celebrates artisan baking essentials at home.